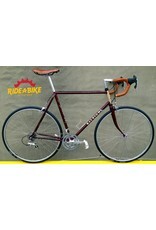 We have a custom-built 1985 Raleigh Olympian road bike that was rebuilt with modern-style components. Old school style with modern quality and functionality! 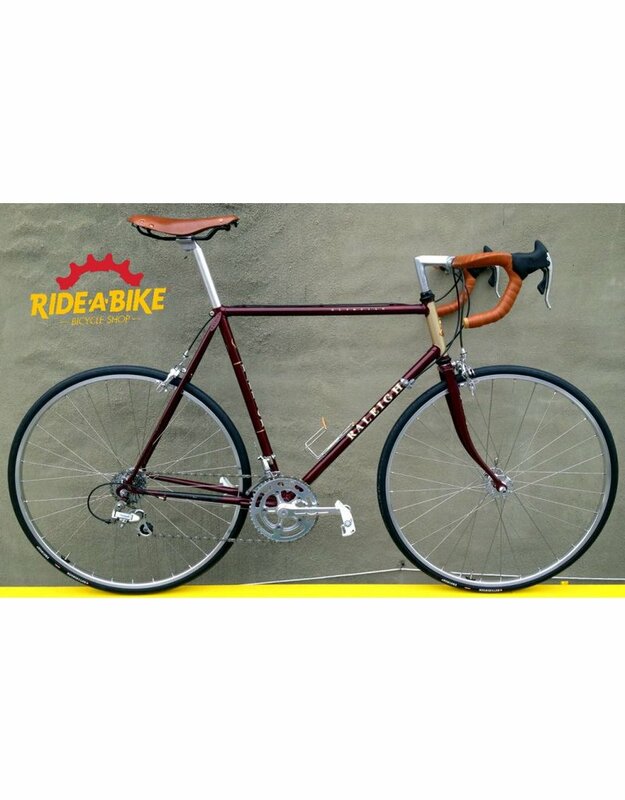 Highlights include Campagnolo 8 speed STI-style shifters and derailleurs, hand-built 700c wheels from NoGas wheels with Velo Orange components, Velo Orange Grand Cru crank, Selle Anatomica leather saddle, and Brooks leather bar tape. Too much to list. Pictures don't show this bike off properly. Stop by the shop for more details. Frame size is 58cm.